Home Opinion Columns Abba? Sababa! One of my first columns discussed women in Israeli society, and in particular, their roles as wives and mothers. 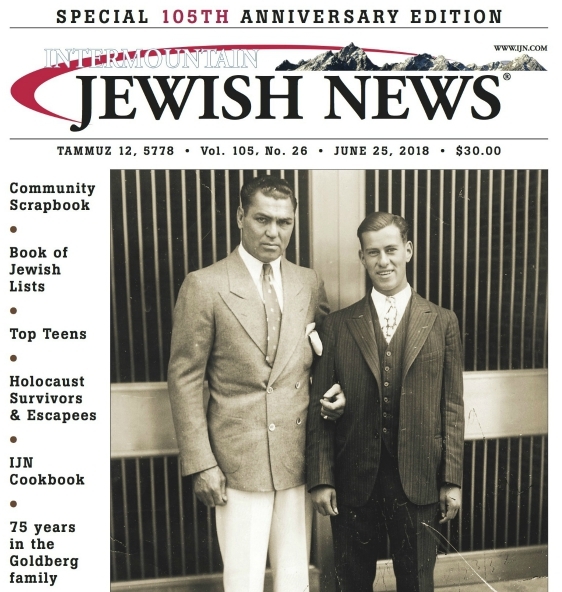 Well, I highly doubt that the entire female population of Israel decided to subscribe to Denvers Intermountain Jewish News, read my little column, and take action against their status in the home, but I will say that something major happened: the daddies came out. Thats right, my friends, there is an epidemic sweeping Tel Aviv and it is absolutely everywhere. Its on the streets, in the parks, and at the beach. Its your boss, your waiter, and your electrician. It comes in various colors, shapes, and sizes, but its all the same  its the young, trendy father with the baby AND . . . ready for this? The dog. I know ladies, you officially have permission to swoon. And is it oh-so-swoon-worthy . . . the young Tel Avivi father that is currently invading the city is the epitome of cool, cute, and chic. He is always well-dressed in a casual, messy sort of way (clearly not in a suit and tie a la office-wear). Most of the time, the baby (ridiculously adorable, of course) is being pushed in the latest, state-of-the-art, folds-down-into-a-pocket-sized-device stroller, and the dog (also the cutest in the world) is attached to a leash, either casually slung over the handle of the stroller or grasped in the fathers hand. The mothers, take note, are never to be found. How did this happen? What is it about? Is there some sort of seasonal pollen that has inconspicuously landed on every young father in Tel Aviv, infesting him with a burning desire to be a stay-at-home dad? In a similar vein, perhaps all of the mothers are allergic to working in the winter, spring and summer, and are therefore forced to cram all of their office hours into the period between October and December. For the life of me, I cant figure this one out. I dont know why all of these dads look the same. I dont know why they all have the same puppy. But I can say that this crazy trend  young, attractive fathers with beautiful babies and cute canines  is merely further proof of the fact that Tel Aviv is becomingly increasingly more like New York City. Now, I have yet to live in the Big Apple, but my entire college graduating class seems to have gotten the urgent memo about moving to Manhattan, and from what my friends tell me, this phenomenon is neither novel nor unique. it is the result of money, class, culture, and the luxury of living in a cosmopolitan city like New York or Tel Aviv. Next mission: figure out where I can get myself a stroller-pushing, dog-walking, nice Jewish (eh hem, Mom) man. Previous PostThanksgiving Next PostWill J Street money translate into influence?